What’s cozier than a pair of warm, handcrafted moccasins? 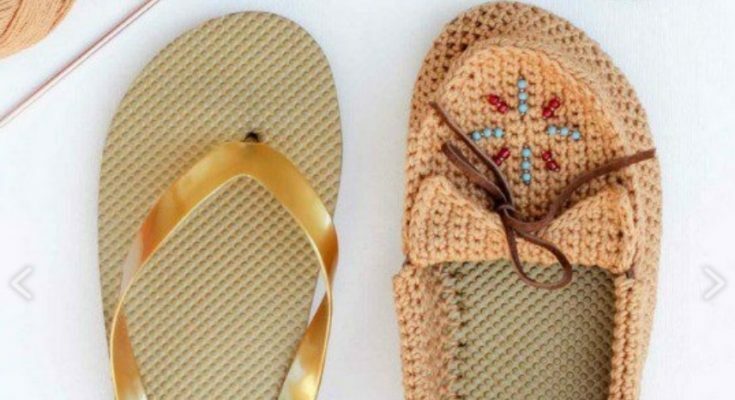 Even if you don’t have the multiple tools or skills to make yourself a pair of real leather moccasins, there are ways around that – like these crochet patterns, which require nothing more than yarn, a hook, and scissors. The patterns are easily tailored to fit any foot size, and only require a larger hook and thicker yarn that suits (The pattern calls for two strands of acrylic DK yarn and a size “I” crochet hook but does walk through what you’ll need to do in order to make sure the moccasins are the right fit). You can mix and match colors, stick with one or a monochrome scheme, or use a variegated yarn for some interest. You could also included bead work, fringe, or tassels. The instructions for adding fringe are included in the pattern. You’ll need to know the following stitches: chain (ch), slip stitch (sl st), sc (single crochet), single crochet decrease (sc dec) and blo (back loop only). The pattern includes a photo tutorial as well as written instructions, and is available as a free PDF at Umme Yusuf. 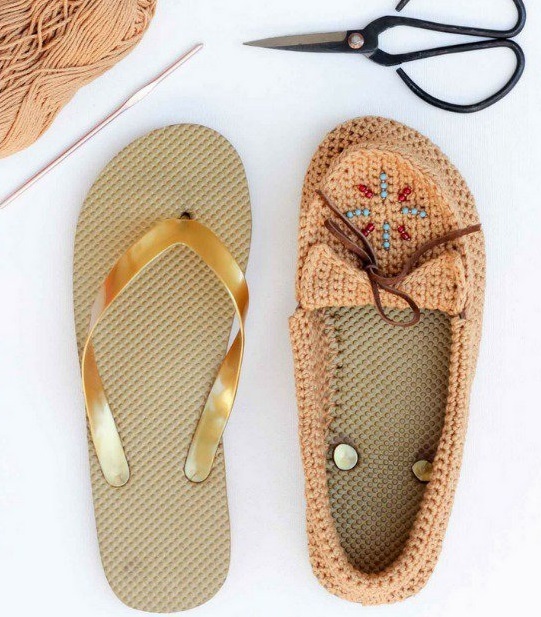 If you’d like a little more of a challenge, you could also try the Tribal Moccasin variation found on Just Be Crafty.